Yamaha Music UK have become one of their charity partners. The partnership was launched with a generous donation from Yamaha of 22 keyboards for each of the Chiltern Music Therapists. Yamaha’s support will enable Chiltern’s expanding music therapy team to reach many more vulnerable children and adults in need of a little extra help. 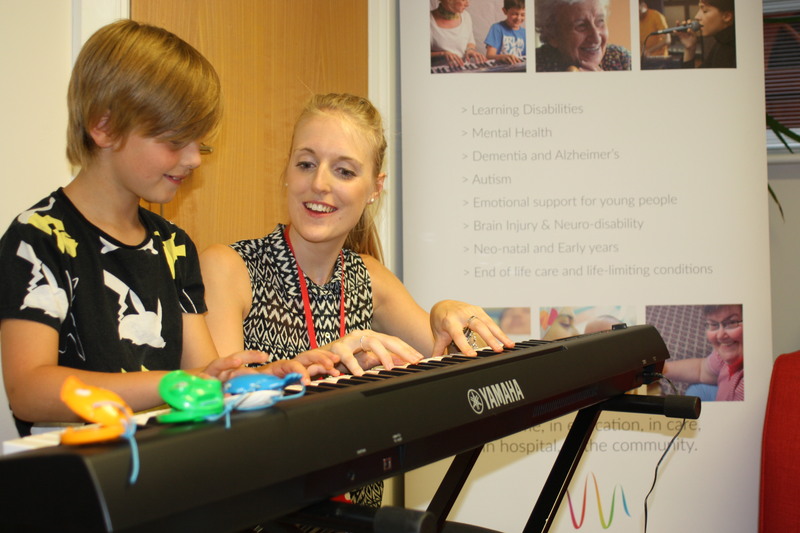 Keyboards can be hugely beneficial in music therapy sessions and will enable Chiltern’s music therapists to continue working with their clients in new and exciting ways. Valuable social skills can be developed through shared keyboard play in therapy sessions. For a child with autism, this can enable them to learn how to take turns, as well as how to lead and follow. Engaging keyboard activities can also be used to support improvements to memory for those with a brain injury, as well as help develop finger dexterity for those with fine motor difficulties. The opportunity to play and sing together, is obviously of huge value too.